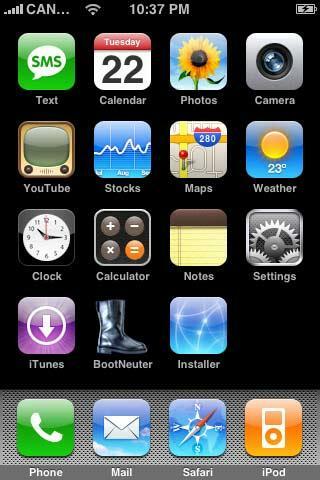 Press to select "Settings" from your SpringBoard. 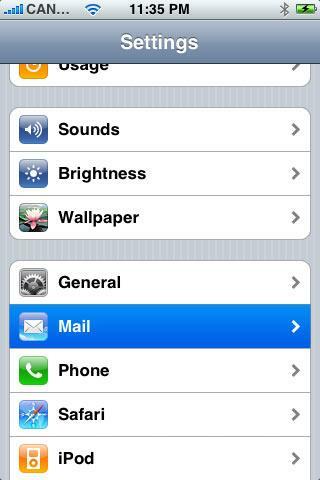 Press to select "Mail" from the "Settings" menu. Select "Add Account" from the "Mail" menu. 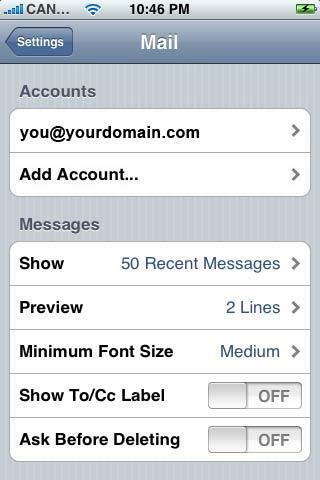 (you@yourdomain.com) in the "Address" field and a description for the account in the "Description" field. 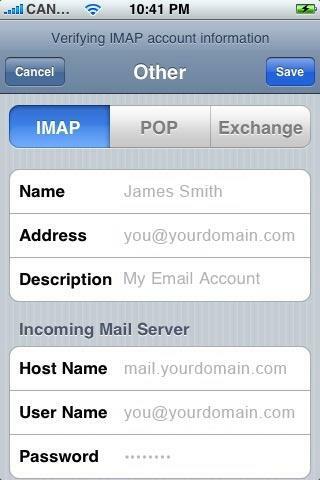 Scroll down and input the settings for your Incoming Mail Server. 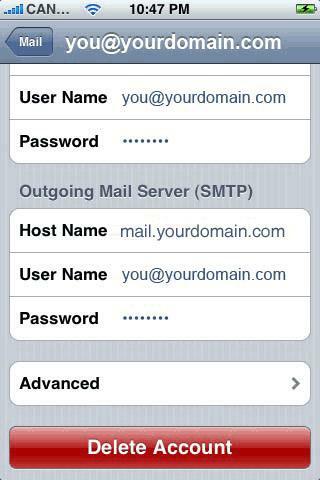 Enter "mail.yourdomain.com" in the "Host Name" field. your password in the "Password" field. 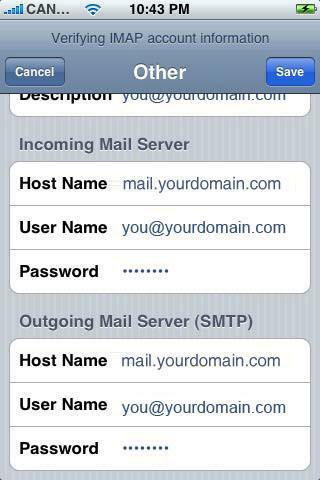 Scroll down and input the settings for the Outgoing Mail Server (SMTP). Enter "mail.yourdomain.com" in the "Host Name" field and replacing "yourdomain.com" with your own domain name. Enter your full email address in the "User Name" field and your password in the "Password" field. Click "Finish". Press the "Save" button in the top right hand side of the screen. Mail will then check your mail settings. 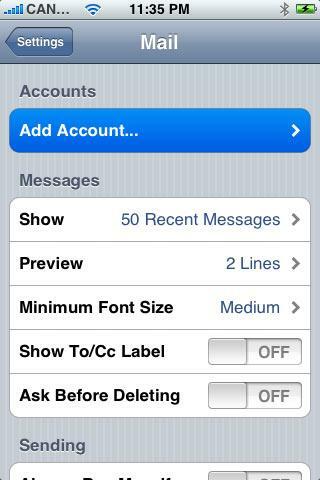 It will verify your settings and add the email account. 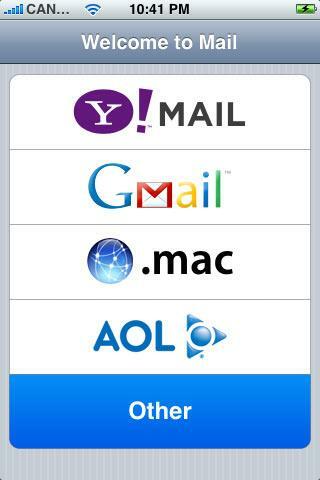 Now when you press Mail it will take you to your mail account. 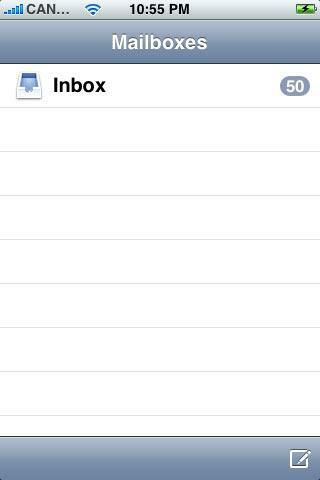 Select the email account that you have just created. Scroll down and press "Advanced". 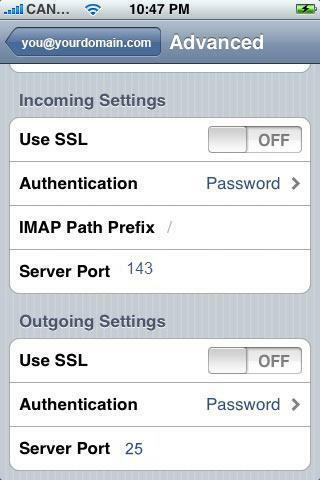 Make sure "Use SSL" is turned "OFF" in both "Outgoing Settings" and "Incoming Settings"
Port for IMAP should be 143. Your set-up is now complete.